Planning for this year’s OFN Conference in Chicago (our 34th!) is well underway. The OFN Conference attracts more than 1,500 CDFIs of all types, sizes, and stages of development, CDFI investors and funders, consultants, researchers, and service providers. This year’s theme, “CDFIs: Agents of Change,” will highlight lessons learned from our CDFI history, best practices for creating lasting change, and ideas to explore our future potential. Despite the persistent challenges in our communities—broadening wage and wealth gaps, a lack of affordable housing and quality jobs, food deserts and more—CDFIs continue to make progress and have an enduring impact. We are the agents of change that transform challenges into opportunities. The OFN Conference is the single largest gathering in the CDFI industry. It features dozens of networking opportunities and practitioner-driven sessions cutting across many different subject areas of importance to CDFIs. 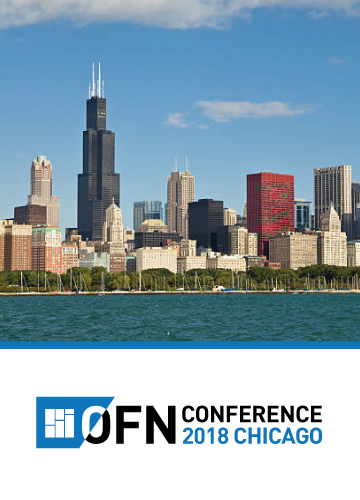 The 34th OFN Conference takes place October 8-11 at the Marriott Marquis Chicago. The Marriott Marquis is offering rooms for $299/night if you reserve by September 15. For information on 2017 OFN Conference opportunities, download the sponsorship brochure or email Amanda Joseph. Registration and a detailed agenda will be available in early August. View the preliminary agenda now.